NBA Playoffs – Cleveland Cavaliers superstar LeBron James is truly amazing as he add another milestone of his career during Game 4 of the best of seven 2017 NBA Finals between the Cleveland Cavaliers and the Golden State Warriors. James, who already set an NBA record for most consecutive finals appearances with 7th NBA Finals appearances in this generation along with his team mates James Jones. Both James and Jones are the only non-Celtics player to ever do it for more than half a decade. The player that currently hold the most consecutive finals appearance is currently held by Bill Russell with 10 straight Finals appearances. In Game 4 of the 2017 NBA Finals, James has made several milestones, including the record for most triple doubles in NBA Finals history, All-time NBA Finals scoring list and even in free throws. Early in the game James only need 2 points to pass the GOAT Michael Jordan in All-time NBA Finals scoring list. 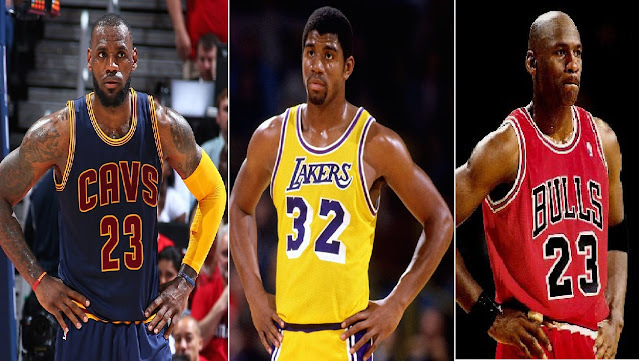 With over 9 minutes to go in the 1st quarter James made his first basket with a lay-up to surpass Jordan and now ranked 3rd All-time NBA Finals scoring list. James also broke Michael Jordan’s record for most free throws made in the NBA Finals in the same game. Meanwhile, in the 4th quarter of Game 4, James finally surpassed Magic Johnson for the most triple doubles posted in NBA Finals with 9 triple doubles. James finished the game with 31 points, 10 rebounds and 11 assist his 2nd triple doubles of the 2017 NBA Finals. Aside from the record breaking milestone, James and the Cavaliers also prevented a historical sweep at home ending the Warriors unblemished record in the post season with 15 straight wins. After a win by the defending champion, will it lead to another historical comeback from being down 3 – 0 and wins 4 straight in a row to become NBA’s back to back NBA Champion? Seems impossible, but for the Cavaliers they done it last year, maybe this year they could do it all again? Let’s wait and see!